The rich warm tone colors in the Gingezel Cozy Collection lend themselves well to large dots with patterning inside the dots. 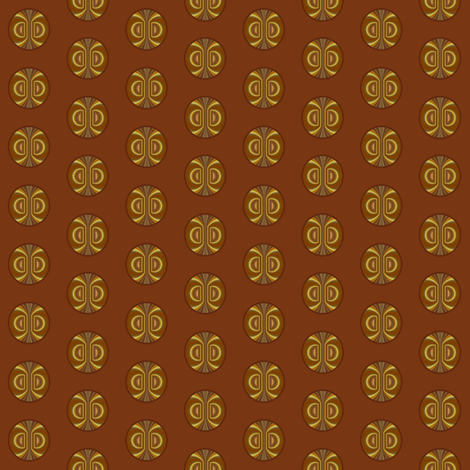 Gold and Brown Patterned Dot gives a medallion effect. Cozy Medallion Dot design is contemporary and sophisticated in rust and gold with a grid of dots, each with a medallion design. Printed on quilting weight cotton.